Argos slow cookers are low priced, reliable and include tops brands such as Crock Pot, Morphy Richards and Russell Hobbs. Slow cookers are great for saving time and effort, same you money, trims the fat out of your meals, and constantly provides a healthy and tender meal at the end of each day. Argos ALWAYS have great deals on their slow cookers so it's worth checking back each day to see if the slow cooker you have your eye on is finally on offer. 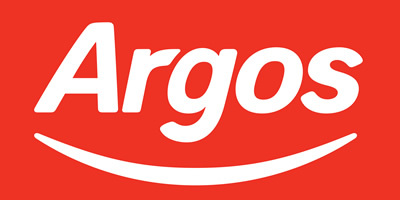 Argos stock around 30+ slow cookers from great popular brands that include Crock Pot, Morphy Richards, Cookworks, Breville, Russell Hobs, and a few value brands that come and go. What Size? This all depends on the amount of people you cater for. 1-2 people need around 1.5 to 3.0 litres, 3-4 3.0 to 5.0 litres, 5 or 6+ probably 6 litres. A general rule of thumb is at least 1 litre per person. Fancy or basic? Even the most basic slow cookers from Argos should perform flawlessly when making a great stew or casserole. We find it's better to start with a basic one that's the correct size rather than a fancy one that's too small. Create delicious, homemade meals with ease in this Breville 4.5 Litre Slow Cooker - perfect for families and entertaining. Leave your casserole, curry or soup to cook away while you carry on with your day. The wrap-around heating elements provides slow and even cooking, helping to tenderise those cheaper cuts of meat. Low, High and Auto settings suit a variety of dishes - even desserts. The attractive, removable ceramic bowl is ideal for serving your dish at the table.